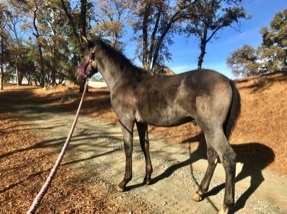 Opalo DA is a 2018 grey colt with an impecable pedigree. We knew he would be special, bred from two Qualified parents and with a Qualified grand dam. 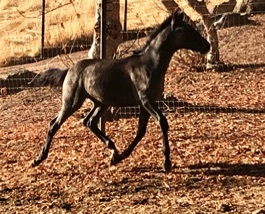 His sire is the spectacular liver chestnut Travieso B II and his dam is our own Castiza DA, sired by Imperioso D and out of our Qualified mare Latina VII. It seems this large friendy colt will be everything we hoped with this cross. 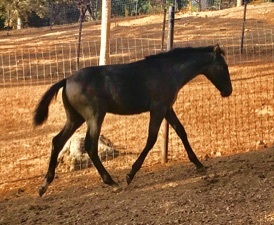 Opalo DA is destined to be a future dressage horse and possibly breeding stallion for Dorado Andaluz. We expect Opalo DA to mature at 16.1-16.3hh. He has been inscribed into the Spanish Studbook with ANCCE.